Nissan builds the Leaf EV for European markets at its factory in Sunderland, England. The automaker's CEO, Carlos Ghosn, has said Nissan and other companies are waiting to see the outcome of Brexit talks before making new investment decisions. LONDON -- UK car production rose in July but at a slower pace than in June, according to the Society of Motor Manufacturers and Traders (SMMT), which urged the government to make sure the country's exit from the European Union does not hamper the sector. The UK's overwhelmingly foreign-owned carmakers had urged voters to remain in the 28-member bloc, where over half of the market’s car exports are sold. Output in July rose 7.6 percent to 126,566 units, driven by a 14.1 percent jump in domestic demand and a 6 percent rise in international demand, SMMT said in a statement. In June, sales rose 10.4 percent compared with the same month a year earlier, led by a 24 percent increase in domestic demand. Through July, production grew 12.3 percent to just over 1 million units, the best performance in 16 years. According to the SMMT, more than three quarters of a million cars built this year are destined for overseas markets. "Future success will depend on continued new-car demand and attracting the next wave of investment so Britain must demonstrate it remains competitive and open for business," Mike Hawes, SMMT’s CEO, said in the statement. The automobile sector faces bigger risks from the Brexit negotiations than many others in the UK because the EU imposes a 10 percent import tariff on vehicles from outside the bloc. 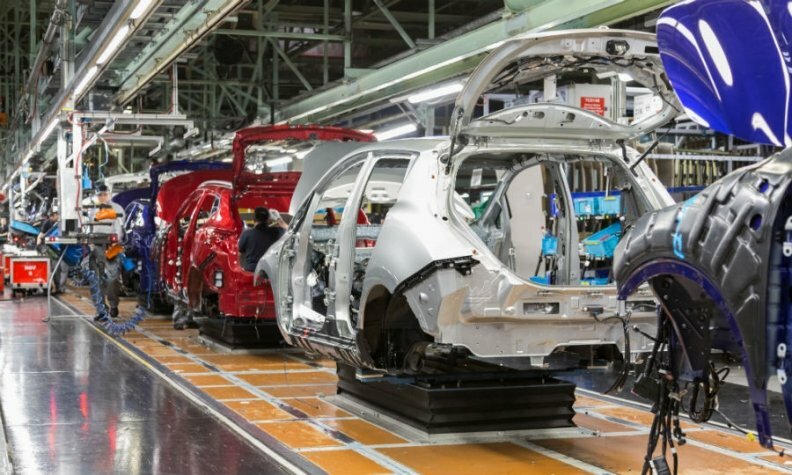 Nissan, Toyota, Honda are among automakers that manufacture cars in the UK, along with BMW Group's Mini and Rolls-Royce brands, Volkswagen Group's Bentley, Tata's Jaguar Land Rover and General Motor’s Vauxhall unit.